For April 2019, our top rated Windows Phone poker site is Governor of Poker 3. Read through our list of top-rated Windows phone real money poker sites to choose the perfect gaming room for you. 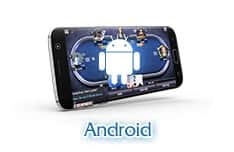 Windows phone USA online poker is easier than you might think to get started with and allows you to play your favorite Texas Hold'em games from wherever you can connect to the Internet. Best of all, since the downloadable real money card game apps have been created especially to be played on your Windows phone, Windows mobile poker sites also offer great game play and graphics that run smoothly on your device. Windows have always been at the forefront of computer technology and as a result they have created some of the most user-friendly mobile devices out there, making Windows phone online poker games a cinch to get started with. With some great downloadable apps for US Windows phone poker online, you'll be playing real money Texas Hold'em in no time, from wherever you may be, trying your luck against players from around the world as you hope to get dealt that Royal Flush. If you've never played Windows mobile poker then you may be thinking it can't possibly be as simple as we say. But it really is as easy as visiting the app MarketPlace and downloading your chosen gambling application, then registering some details, and away you go. What's more, all of the top Internet gambling websites out there which offer USA online poker for Windows phones, including a lot of Windows Phone casinos, will usually provide completely free apps to download too. So get started and turn your smartphone into your little pocket card gaming room with our guide to online poker for Windows phones. If you haven't already chosen a site, then browse our list of recommended Windows mobile poker sites and decide which one you'd like to try by checking out the bonuses, deposit methods, game play options and general reviews. Search the MarketPlace for your chosen site to bring up the download options available. Here you can also check other user reviews too so you can be doubly sure of your choice. Download the software to your Windows phone just as you have probably done dozens of times for your social networking, video streaming and other fun apps. Simply tap on the app to launch it and follow the steps to register. This normally just involves registering your email address with the app and making a choice of password to login whenever you want to play. Try out the free play options just so that you get used to the app and the different options before you start playing Windows phone real money poker. Login, choose a table or variation of poker, deposit your funds and look out for Lady Luck! Yes! And there are actually multiple ways to do so. The first is via a poker site's Windows Phone-specific app, which is going to offer a very smooth mobile poker experience. If a poker site doesn't have an app or isn't Windows Phone-compatible, you can also play on the site right in your phone's browser (kind of like you would on a computer). When something is as easy to start playing as online poker for Windows phones, why wouldn't you give it a try? Not only is the game play great with Windows phone online poker, but you can also interact with other players on most apps, making your favorite card game a real social event every time you login. 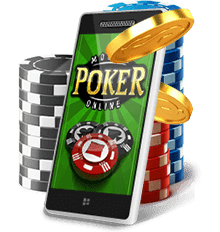 Windows phone poker online really can improve your Texas Hold'em play even if you just stick to the free play options for a bit of fun. And if you already enjoy playing poker online, you may find you prefer having access to it just by dipping your hand in your pocket and pulling out your Windows phone. As most of the top poker rooms out there offer an app to allow you to play Windows mobile poker, you can get your hands on some great bonuses when you register, so what are you waiting for? 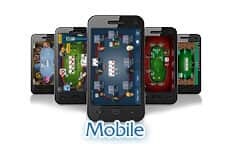 Check out our list of recommended Windows mobile online poker sites and choose the gambling website that catches your eye, and say goodbye to watching the clock during those boring waits for the train or a late friend to arrive. Because Windows Phones are newer overall than some of their major competitors, you will find many Windows Phone poker options regardless of what version you have. If you do happen to have a Windows Phone 7 (which stopped being updated in 2013), you may have trouble playing on some newer online poker apps. However, you may still have luck playing on the poker room's actual site in your browser if you are using one of these older phones. Yes! Any online poker room we recommend here (and any one worth its salt) is going to offer online play for real money from your Windows Phone. You should note that some online poker sites might let you play for fake money as practice, however you'll be playing against the computer and not real people when you do this. That entirely depends on the online poker community you are trying to play with. However, more often than not you'll be able to play on a community's site, regardless of if they have an app or not. When playing on their site from your Windows Phone browser you will probably first be given the opportunity of downloading an app if one is available. Playing on a Windows Phone-specific app will obviously offer a better playing experience. 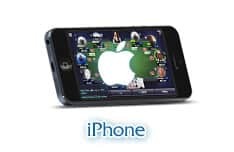 But since mobile poker play is becoming more and more popular, most major poker companies have optimized their sites for great mobile play experiences. The first step is creating an account with the poker company you want to play with. Once you do that, you'll simply need to choose a preferred deposit method (eWallet and credit cards are the most popular). Once the money processes through to your account, you are all ready to begin playing real money poker games on your Windows Phone! Note that these two steps are the same regardless of if you are on your phone or a PC, and that you can access your funds from either platform. That's entirely up to you! However we have done a lot of the homework for you in our Windows poker app reviews. We review every poker app for tournament regularity, game variety, security, and many other important factors so you can make an educated decision before playing for real money. This is another one of those questions that is dependent on the particular poker community. A few sites and apps will have you only playing against other mobile users, but the majority will have one large combined network pitting you against players on tablets and other brands of smartphones. Read our reviews to find out what the case is with the poker community you are considering. Security, safety, and reliability are all things we look at before recommending any Windows Phone poker app or site. You can rest assured that any online poker room we recommend is going to be certified legal by their local government and a seal of approval from a testing agency like eCOGRA. These organizations do regular quality testing of transaction security as well as sites' random number generators. Some online poker sites may have free play options where you play against the computer for fake money offline. Beyond that, you will probably be hard pressed to find a place that lets you play for real money offline given the obvious logistical issues. With a huge number of mobile poker sites out there, it's never been easier to play on your Windows phone. Yet, while there are some great casinos out there, you'll also find some that aren't what they seem. Thanks to our expert team, you can avoid the worry of coming across a bad poker site, as we've carefully vetted and listed below some to avoid.